Trailplodder (left) finally meets Asprihanal (right). 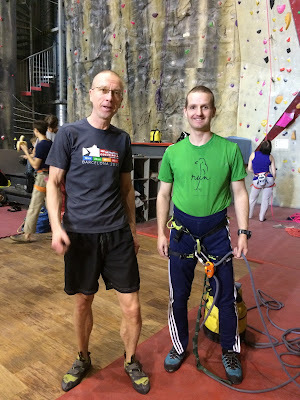 Today I briefly chatted with Finnish ultrarunning legend Asprihanal Pekka Aalto between our climbs at KiipeilyAreena, a huge climbing gym in Helsinki. Mr. Aalto is 8-time champion of Self-Transcendence 3100 Mile Race and 3-time winner of Self-Transcendence Six Day Race in NYC. Aalto finished the 2015 3100-miler in record time 40 days 09:06:21 for a daily average of 76.776 miles (123.559 km). 3100 Mile Race is the world's longest certified footrace (4,989 km). Asprihanal also appears to be an enthusiastic climber. 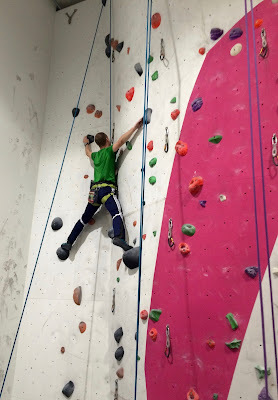 I watched in awe as he ascended big walls, making them look easy. 1. You have won 3100 Mile Race eight times already. Did last year's record-breaking victory feel special to you? A: Yes, it's the greatest athletic achievement of my whole life. 2. 40 days is an incredibly long time to run. How did you manage to be so consistent last summer? A: I experienced a couple of weaker days, but overall everything went better than in my previous races. This was partly because the weather in New York didn't feel too hot to me during the 2015 race. Heat has been an issue for me in the past. 3. Why do you think Wolfgang Schwerk's 3100 mile record 41 days 08:16:29 set in 2006 stood for so many years? A: It's just because Wolfgang Schwerk was such a tough runner and his record really was very hard to beat. 4. I can see you are a great climber. Does climbing benefit your running performance in any way? A: No, but one must also have some fun (laughs). 5. I've run some 2-day Alpine ultratrails without sleep, but can't imagine running something like 3100 Mile Race. Any tips for multi-day ultras and how much do you usually sleep? A: Come to New York and run a 6-day race. In 6-day races I don't need much sleep. The second night often feels easier than the first. After a couple of days you can add sleep as required. 6. Will you run 3100 Mile Race again this summer? 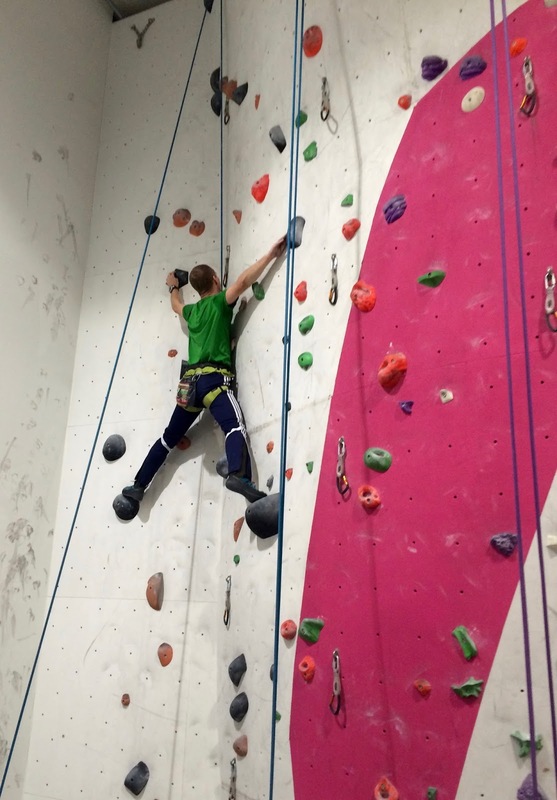 Asprihanal climbing a wall today.